Tuition hikes, administrative salaries put Concordia’s provost on the spot. 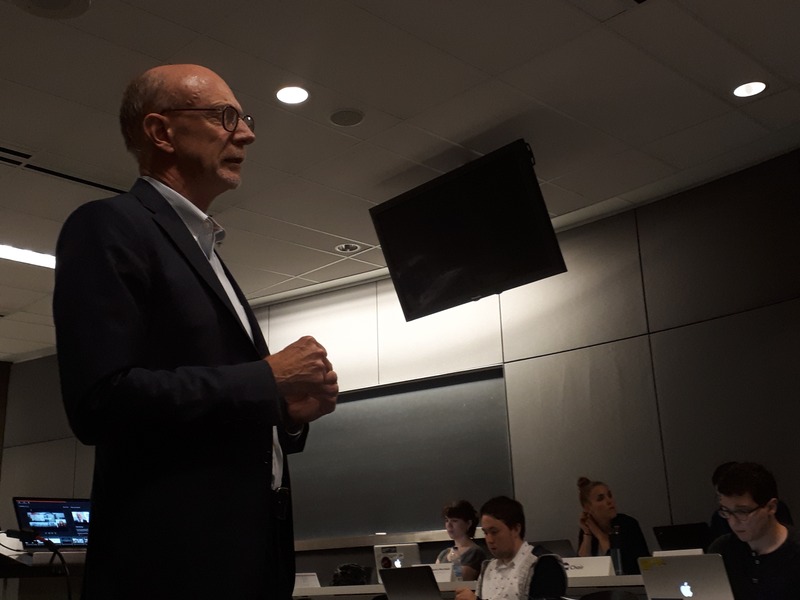 What was meant to be a short presentation by Concordia’s provost turned into a confrontation with the Concordia Student Union (CSU) at a regular council meeting on Wednesday, Oct. 10. For more than an hour, CSU councillors questioned Graham Carr, provost and vice-president of academic affairs, on everything from tuition hikes and administrative salaries, to student representation in school governance. Carr had been invited to give a presentation on Concordia’s nine strategic directions. His presentation highlighted some of the school’s recent achievements, including the opening of the Institute for Investigative Journalism, as well as some of the university’s goals, such as the establishment of a health institute at Concordia. However, during a segment of the presentation on diversity in the faculty of engineering, Arts and Science Councillor, Margot Berner, asked about the administration’s recent tuition increase for international students. “I’m wondering how promoting diversity factors into international student tuition hikes in engineering,” Berner said. In her executive report prepared for the meeting, CSU General Coordinator Sophie Hough-Martin said she had been denied a place on Concordia’s Senate and Board of Governors because of her conditional academic standing, due in large part to a major depressive episode in the fall of 2017. Carr responded a working group had been formed to address the issue in the Senate. Carr responded this point constituted a “difference of opinion” between the CSU and the administration. Carr said Concordia has always been a “lean” university financially, and that the administration managed to weather provincial funding cuts without sacrificing its academic mission. The CSU’s chairperson put an end to question period, at which point council resumed its regular business.